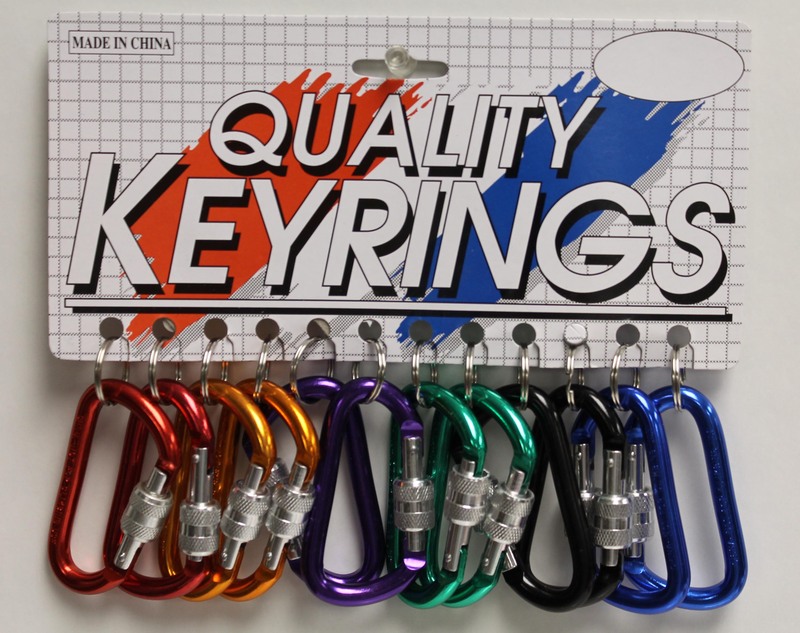 These are our basic jumbo carabiners (80mm), but with a screw lock to absolutely secure your items to the carabiner. 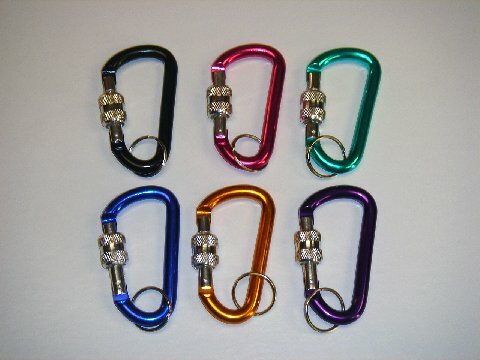 Available in a 6 color assortment: RED, BLUE, BLACK, GREEN, PURPLE, and GOLD. Packaging is bulk.